Download 13 unique bingo cards in 3 different designs. 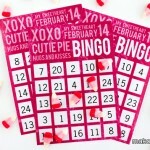 I initially created these Valentine’s day bingo cards for a Valentine’s day party we had for my daughter last year. It was an easy, fun activity for the kids to play to win a few party prizes. 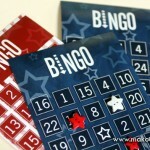 I love the simplicity of bingo – it is easy for young children to understand the rules and to participate and interesting for older kids and adults as well. I am thankful for Valentine’s day holiday. 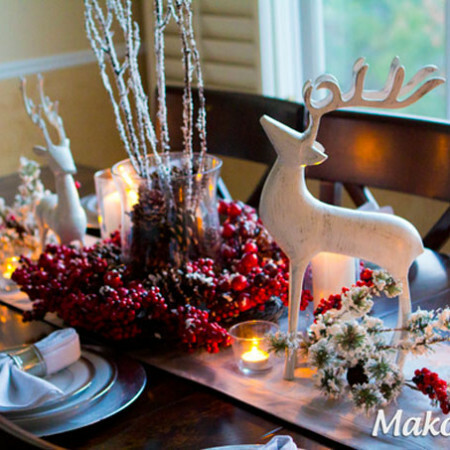 It is a nice understated, yet fun holiday to break-up the winter “blah” feeling. Last year we decided to throw a Valentine’s party for Bree’s friends, so we had about 14 kids to entertain and keep busy for 2 hours on a Friday afternoon. 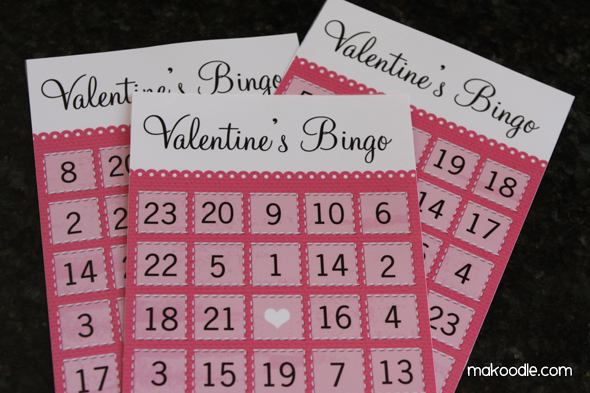 We had pizza, decorated sugar cookies, made a craft, and played a couple games including Valentine’s bingo. It was a fun afternoon. There are 3 different designs available to download – for FREE! Have a fun evening with your family, throw a cousin’s party, invite some of your children’s closest friends – whatever you do, have fun and enjoy some time with those you love. The cards are sized 5″ x 7″ and can be printed using card stock at home or at your favorite printer. I printed my bingo cards at Costco and then had them laminated so I can reuse them. <<I recently ran out of ink for my printer. I used to buy generic brand ink from a site online. I decided to check out my favorite site – Amazon.com – and they had the name brand ink for an even better deal. It was much less than I can get it for at Costco and it was the same price as what I can get the generic ink for and I got free 2 day shipping with prime. 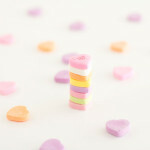 Woot Woot!>> For number markers, we used conversation hearts but any candy would work – M&M’s, Valentine’s candy corn, etc. I’ve had some requests for additional cards, so I decided to provide the blank template for each one that you can write in your own numbers to create additional cards. Some people have had trouble downloading and printing the files above. I uploaded them to a file sharing site and I’m hoping those that have had trouble will find success with these files. These are darling! Thank you for sharing! So so cute. A definite pin. SO fun! Thank you! I’m including a link back in this week’s highlights! 😉 Thanks so much for sharing! Thanks! I appreciate the feature. WOW! 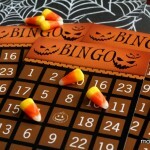 I LOVE your cute bingo cards and especially the variety! 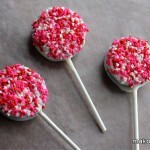 I will be bookmarking these for V-Day! 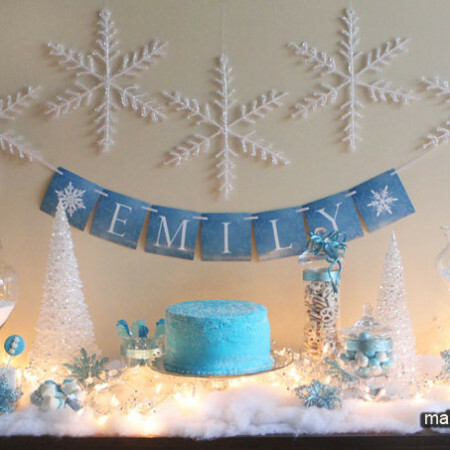 I would love it if you would share these at my “It’s a Celebration” link party. These would be perfect for a class party too. This turned out great! Good job. 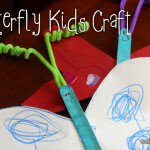 You have some great Valentine’s Day Ides that I hope you will link up to my I Heart Projects Party! Thanks! I love Make and Takes. Such great ideas and honored to be included among them! Thanks for the Bingo cards. I’ll use them with my kindergarten kiddos this year. We just finished our chapter on numbers 11-30, so this will be perfect! I just sent you an email. Let me know if you still have problems. Hi, I too have not been successful in printing these out. They are just adorable, but I can only look at them as a picture and cannot print or move around to resize. Please help! I just posted an update to the post. 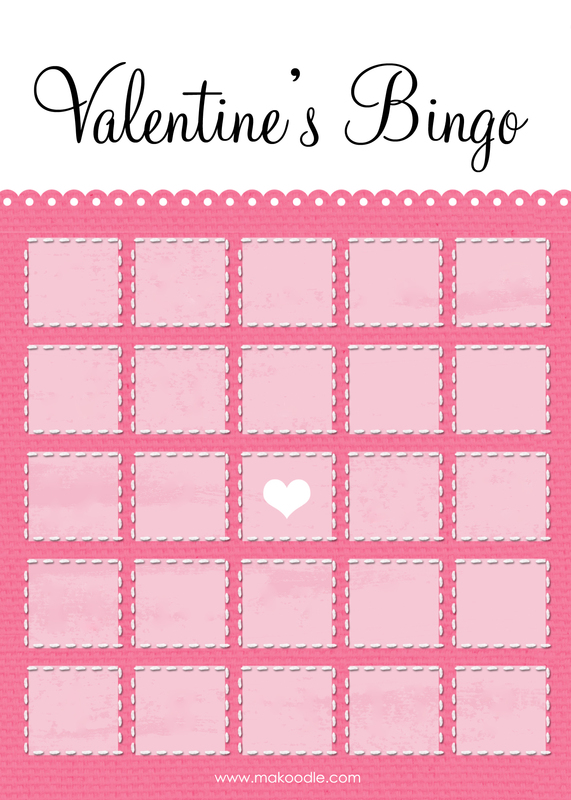 I am hosting the images at a file sharing site and I’ve embedded a way to download the files from the file sharing site: http://www.makoodle.com/valententines-bingo/ . Please send me the email as well. I’m having trouble printing them and I really want to use them for my daughter’s Valentines Day Party Tuesday. I just posted an update to the post. 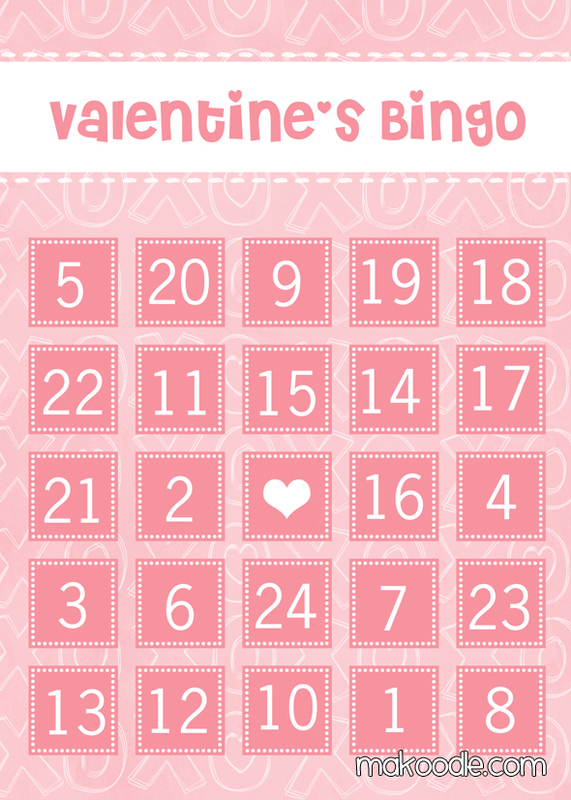 I am hosting the images at a file sharing site and I’ve embedded a way to download the files from the file sharing site: http://www.makoodle.com/valententines-bingo/. I want to use these with my fourth grade. Downloaded them but cannot print them. Not sure why? Can you assist? I just posted an update to the post. 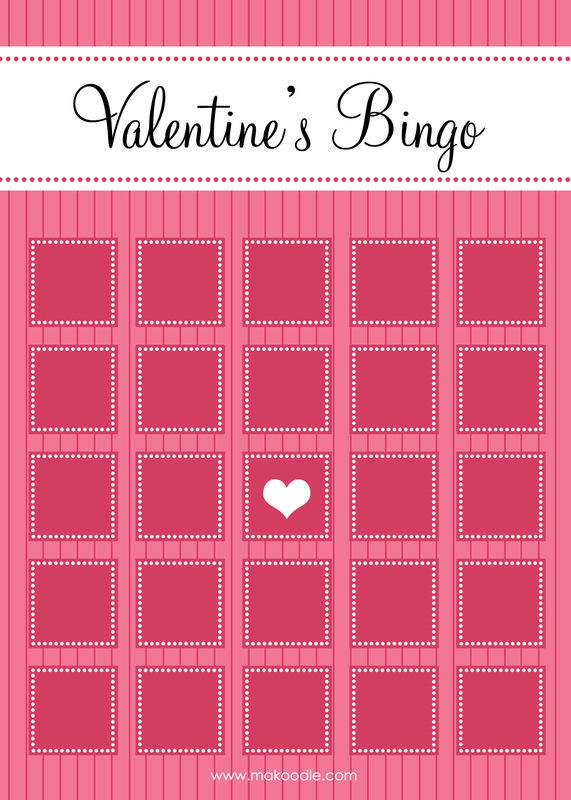 I am hosting the images at a file sharing site and I’ve embedded a way to download the files from the file sharing site : http://www.makoodle.com/valententines-bingo/.. Hi!! I love these! Can you tell me what font you used on the Elegant version? I have been trying to find that font forever but don’t know the name! Thank you for sharing! It is called Monterey BT. Thank you so much for sharing! You are a kind, creative soul!! I am so very confused by these cards. What are the numbers and how do they pertain to anything? When a number is called (at random), that number will be covered by a marker. I’m having the same problem .. I can’t get these adorable BINGO cards to print. Please help – thanks! I just posted an update to the post. 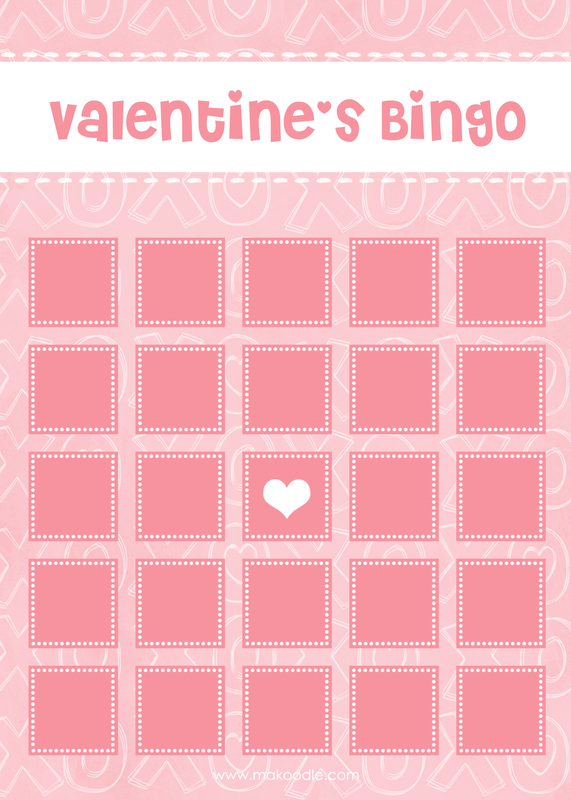 I am hosting the images at a file sharing site and I’ve embedded a way to download the files from the file sharing site : http://www.makoodle.com/valententines-bingo/. Yay! Thank you for this! I was going to recreate Valentine bingo cards this morning and decided to hop onto pinterest first to see if I could find any. Thanks for sharing with us!! What did you use to keep track of numbers that you called and how did you pick the numbers? I have already printed the cards…they are going to be perfect. Thank you so much! I just called out numbers at random and wrote them down as I went. I love the Valentine cards but I have not been successful in getting them to download and print. Can you advise . I love these cards but cannot get them to print either. I am in charge of my son’s party at school next week and am panicking! Can you help? Hi! I love these cards and I am in charge of throwing my son’s Valentines party for school, so I thought these would be perfect! My only question is, is there a call sheet? Am I missing that? Or do we just make our own? I just called out numbers at random and wrote them on a sheet of paper. For my next printable, I will make some call numbers to draw from a jar. 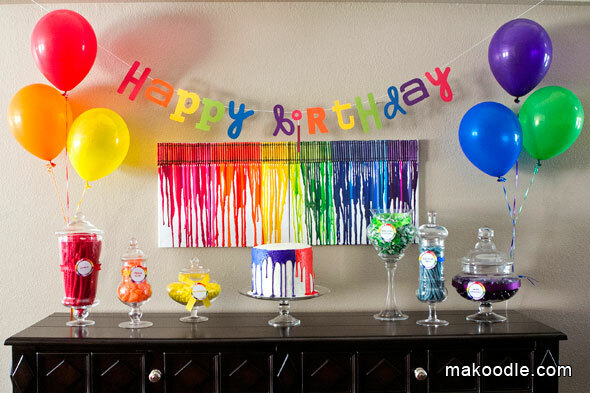 These are so cute and I can’t wait to use them for my daughter’s class party! Do you have a number sheet to go with this or did you just call out random numbers? I just called out numbers at random and wrote them on a sheet of paper. Where can I print call numbers when using the XOXO and STRIPE sheets? I just called out numbers at random. This is so great! I pinned this post. My question is (since I am not good at this stuff) – my daughter has 17 kids in her class. Is there a way that I can add 4 more unique number card combinations? I create a blank template and added it as a download option. Thanks! 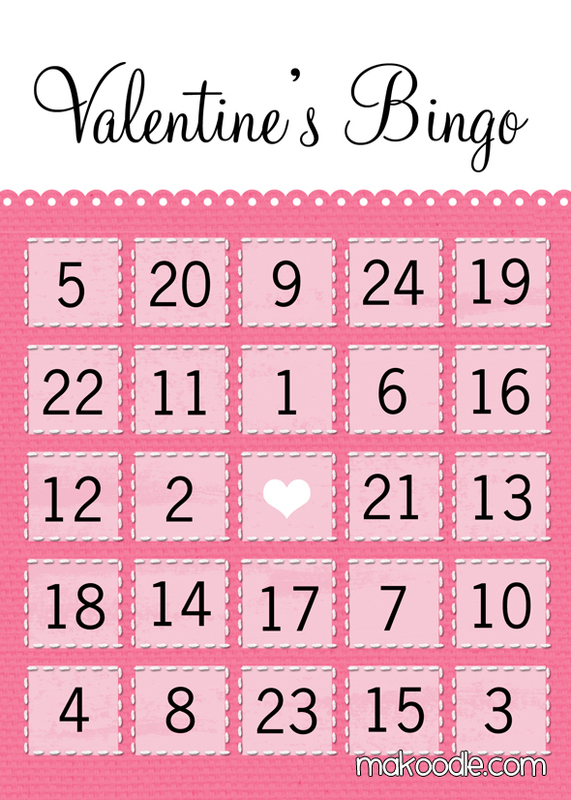 I discovered your wonderful Valentine’s Day Bingo cards on Pinterest! I loved the heart ones and wanted to print them to use them for a party for my daughter this weekend and then in my kindergarten classroom next week. (Gotta love being able to use things at home and school!) However, for the life of me, I can not figure out how to print them. I click on the link and they come up as pictures, but there isn’t a way for me to print. By chance are they protected someway? Any secrets you can share for printing I would appreciate. I would like to use these bingo cards as well for a party tomorrow, but I am having difficulty printing them out, like Tambrey. Is there a special way to print these. Thank you! I just posted an update to the post. 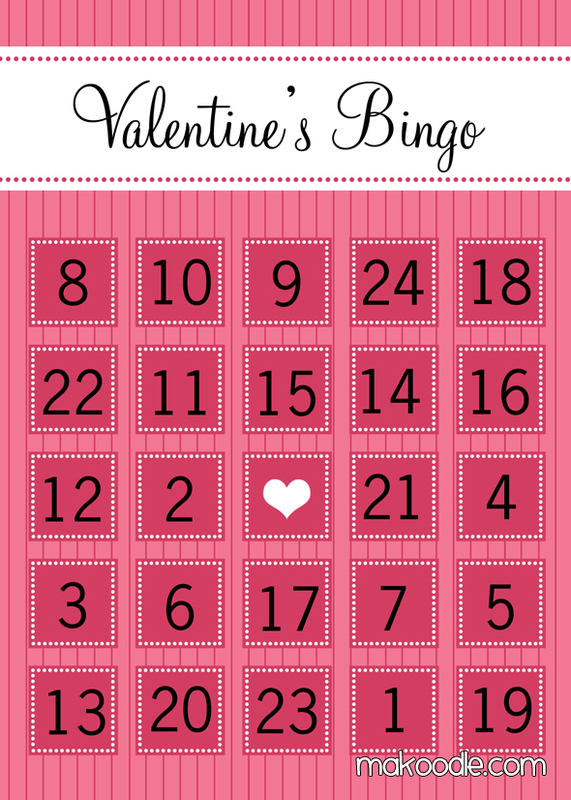 I am hosting the images at a file sharing site and I’ve embedded a way to download the files from the file sharing site:http://www.makoodle.com/valententines-bingo/. Thank you! We are using these for our kindergarten class party. So cute! 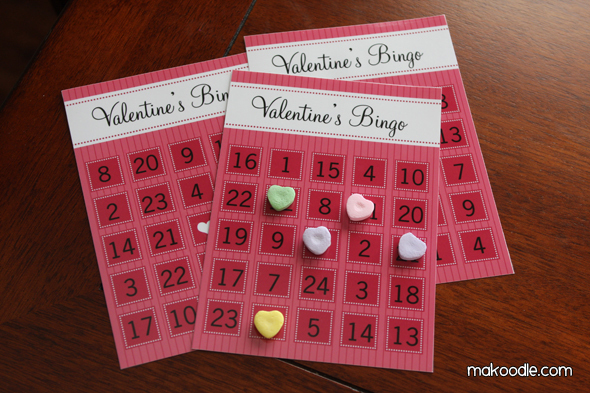 Valentine Bingo. Thank you for sharing. Wonderful, I think the kids will enjoy! are the same. Thus, my older kids will all win at the same time. valentine’s day, could you make more difficult ones for the fourth of july ones, red & blue? I love the simplicity of these cards and would love to use them for a Kindergarten party next week. I have been unable to print them and hope that you may be able to help. Thanks! template so I can put in higher numbers and random numbers orders to equal 25 unique cards(no two the same). Thanks for sharing. Oh Bless you!!! Thank you so much. Love, love your blog!! I’m hooked! Thanks so much for posting! Printed for daughters 1st grade party. also, what font did you use for XO? Thank you for sharing .. the cards are super cute. These are so cute! Since I’m not the brightest, lol, did you call out letters and numbers? I noticed there are no letters above the columns, so I’m wondering if you just called numbers and didn’t worry about the letters, like in normal bingo?? Thanks!! Wow they are all so pretty! Now I just have to figure out with one to use 🙂 Thanks so much for sharing these. Pinning! I love these Valentine Day Bingo cards. 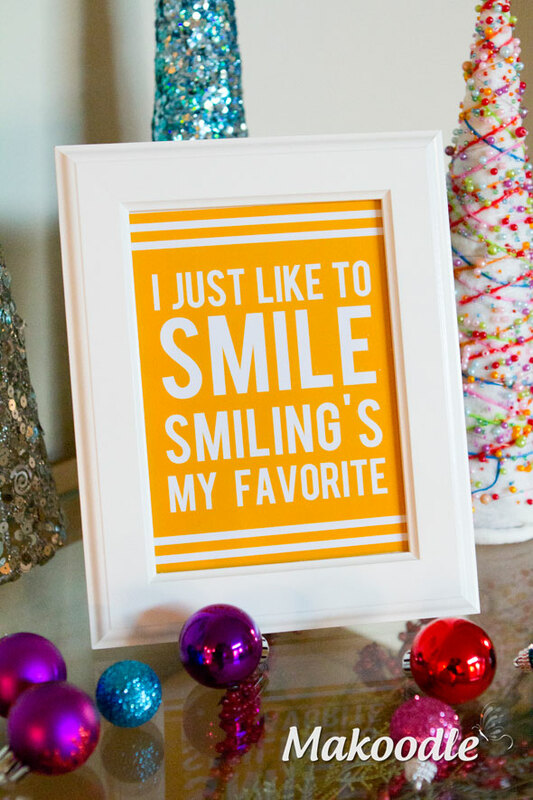 Thanks so much for the free printable. These are awesome! My three year old will love it! Thank you for creating them and your willingness to share. Have a wonderful week! Just a thought, for those of you looking for call numbers, I printed an extra card at Costco and cut the numbers into squares and threw them into a jar…voila, call numbers. These are amazing! I am breaking my second graders into 2 groups so that 13 cards works without anyone having the same cards. 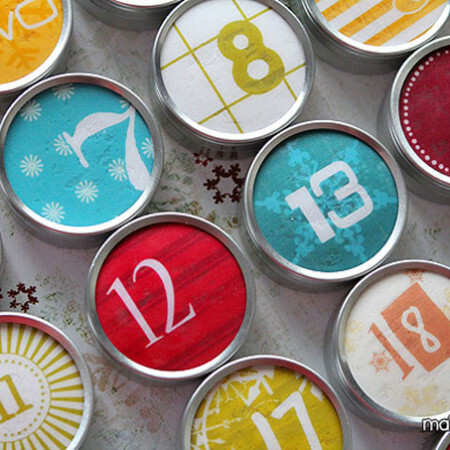 Adorable and a huge time saver! Hi there! I ABSOLUTELY love these photos! Unfortunately, I tried downloading the cards (even through the hosted website) and I’m still unable to print them. Is there a way you can e-mail it to me? Thanks so much!! And Happy Valentines Day! Can’t wait to share these with my 4th/5th grade class!!! Oh my goodness I love you! I procrastinated until today (Valentine’s Day) to find these for my son’s class. I googled and found you. I am thrilled! These are darling and worked perfectly. 🙂 Thank you sooooooo much. I design on a small level and I know how much work something like this is. It’s no small feat so thank you so much! Hi there, I just found your blog through pinterest. I was asked to do the game for my daughters kindergarten Valentines Day party. These bingo cards are perfect! And oh so adorable! Thank you so much for sharing them.